Andrex has teamed up with WaterAid for the Toilets Change Lives initiative, shedding light on a global crisis that is affecting billions worldwide. The initiative highlights the global sanitation crisis faced by 2.3 billion people around the world and has already transformed the lives of thousands of people by constructing new or renovating existing public toilets in Bangladesh. This year, Andrex is revealing the harsh reality for families across the globe living without a safe, clean toilet by building an installation reminiscent of many unplanned urban settlements around the world. The striking scene will be located in London’s Shoreditch Boxpark. 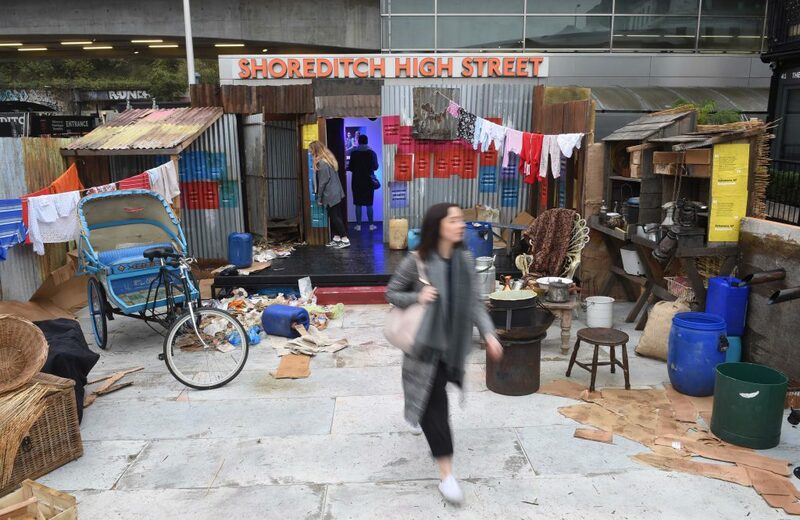 Visitors to the pop-up will be able to see the shocking sanitary conditions billions of people around the world are forced to live with and read first-hand accounts from people who are suffering the effects of poor sanitation. Through the Toilets Change Lives initiative, Andrex will donate a minimum of £480,000 to WaterAid by 2020.